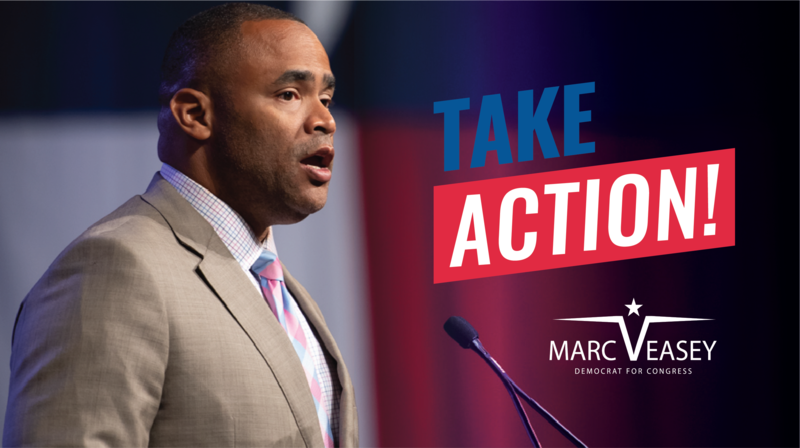 Make a contribution today to help send Marc Veasey back to Congress to represent Texas Congressional District 33! Your generous donation will help ensure that Texas families have a champion for healthcare, immigration, jobs, education and so much more in Washington! Contributions made to Marc Veasey for Congress are not tax deductible.